At Think Hypno many clients have come to see me when anxiety and panic was affecting their everyday lives. The anxiety may have reduced their confidence by making it hard to do things that were once easy, perhaps they didn’t know how to cope with the unpleasant feelings anxiety creates, or couldn’t stop the obsessive thoughts or habits which had taken over. Combining Hypnotherapy with NLP and Stress Management techniques can teach you how to cope with the anxiety. 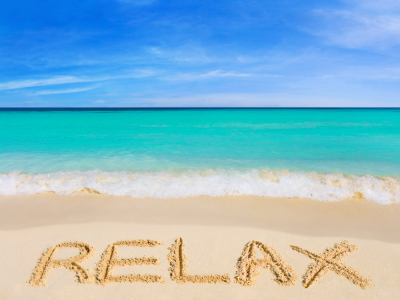 With hypnosis you can learn to feel calmer and more relaxed, both physically and mentally. Regaining this control in your life can have a positive effect upon your confidence and self-esteem so that you feel better about yourself and gain that inner confidence and motivation to achieve future goals. Break the negative cycle of anxiety – call today for your free consultation. At Think Hypno I work with many clients who are experiencing stress in their lives but don’t really understand how to take steps to minimise the negative effects it is having on them. Stress impacts on us mentally, physically, emotionally and behaviourally so it is important to develop coping mechanisms to manage these different areas. At Think Hypno you will learn to understand the causes of your stress and identify new positive strategies to manage them. You will learn to physically and mentally relax as you experience hypnosis and use special breathing techniques. Enabling you to feel confident that you can recognise your stress triggers and prevent the onset of stress. Hypnotherapy and stress management techniques can address many issues, e.g. regaining your work-life balance so that you make time for yourself, learn to delegate effectively, avoid procrastination so that you complete tasks straight away, let go of perfectionism and setting high expectations, better time management, learn to challenge thoughts so you think rationally, manage family and caring responsibilities, deal with difficult relationships, develop assertiveness and learn to set realistic and achievable goals. This is what one of my clients had to say about stress:Working with Sharrie has helped me gain perspective in my life. I am better able to make judgements and I am more focused. Sharrie helped me to step back from my life and look at my stressors objectively. I have gained in confidence and have improved my ability to stay calm in difficult situations. I now have a ‘tool box’ of practical ways to deal with life. Call today for your free consultation to see how developing positive coping mechanism can improve your life.